Love Garden Birds is a trading name of Invalesco Limited. The company number is 08281000. On placing an order with us, your postal address details will be added to a mailing list to receive future catalogues. Your privacy is respected and your details will not be shared or sold to any other companies. If you provide us with your email address whilst ordering, this will be used for communications relating to your order only, unless you confirm that you wish to be added to our newsletter subscriber list. Please notify us in writing to the above address or email [email protected] if you wish to be removed from our mailing list. Prices applicable in the United Kingdom only and are inclusive of VAT where appropriate. As part of our policy of continuous product development, all specifications, descriptions, images, prices and availability may be subject to change at any time without prior notification. Although we do our utmost to ensure that information is correct there may be times when errors occur and we provide no guarantee as to the accuracy, completeness or suitability of any of the information on this website including pricing (E&OE). Weights and dimensions are approx. To redeem discounts using a promotional code, the discount code must be entered into your order or quoted over the phone at the time of purchase. Discounts cannot be applied retrospectively. Expiry dates will vary depending on the promotion and codes can only be used prior to the expiry date published. 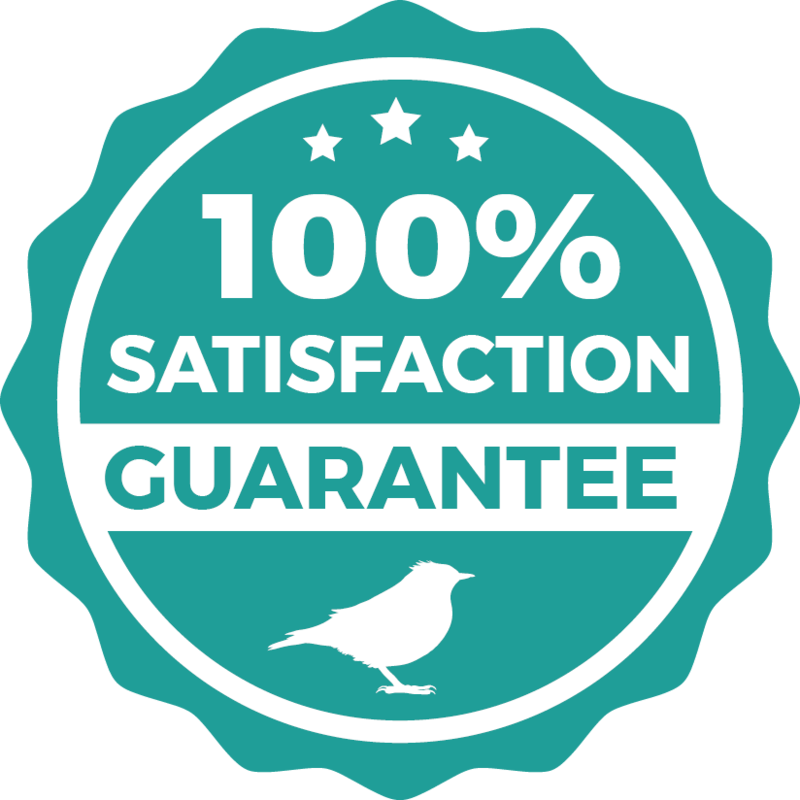 Unless otherwise stated discounts and discount codes cannot be used in conjunction with other ffers from Love Garden Birds and can only be used for one transaction per customer. Only one discount code can be used per order. Refer a friend discounts cannot be used in conjunction with discount codes. Please refer to our Delivery and Returns policies. This website and many of the products shown are subject to Copyright and/or Design Right Protection. Other forms of registered intellectual property may exist from time to time in relation to certain products. Love Garden Birds reserves all rights in its intellectual property rights. Copying is strictly prohibited.